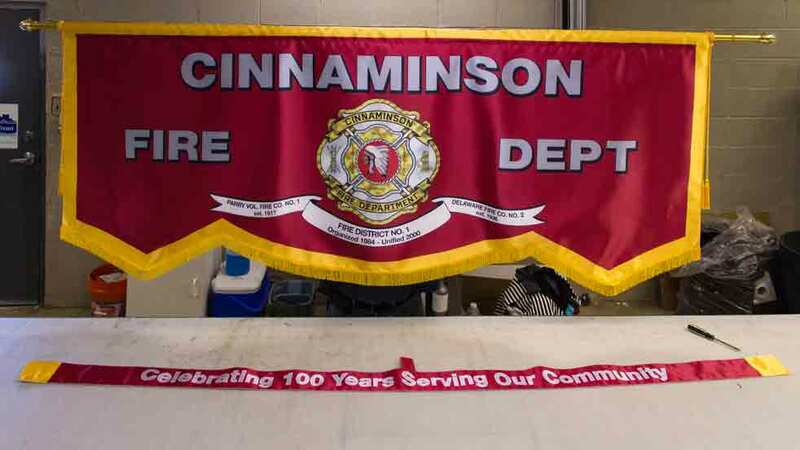 Here you will see several photos from our support of Cinnaminson Fire Departments’ custom parade banner celebrating 100 years of service to their community. 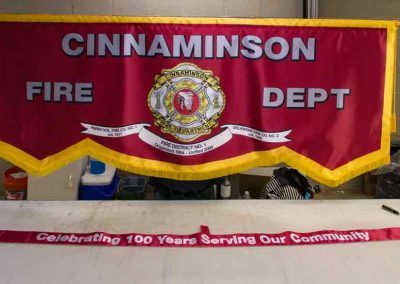 The team there wanted to represent with pride with a parade banner to carry in their parade, with special mention of their 100th anniversary without detracting versatility by limiting it to event-specific text. For this purpose, we modified our deluxe parade banner styling to incorporate a removable sash that would proclaim the anniversary for use at this event, with custom pockets at either end to allow the banner pole to fit within and velcro attached overtop the banner to secure the center and prevent from sagging. 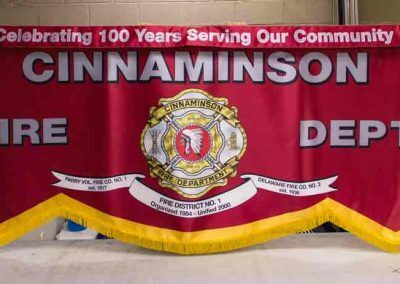 View the Fire Department profile page to learn more about their team by clicking here.